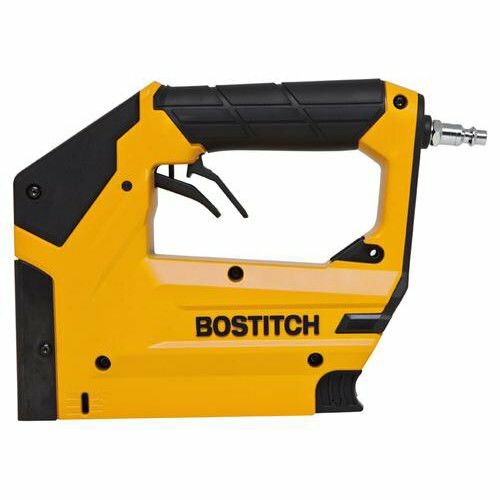 The BOSTITCH BTFP71875 Heavy Duty 3/8" Crown Stapler is capable of using both heavy duty 3/8" crown staples and brad nails for wide range of applications; able to accommodate staples lengths :1/4", 5/16", 3/8", 1/2" and 9/16" and brads 1/2" to 5/8". 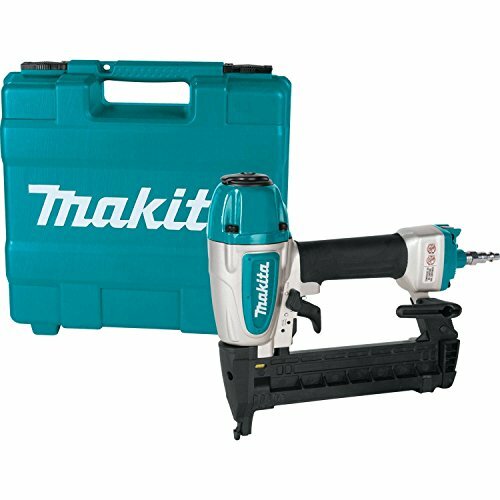 The dual trigger design incorporates safety and comfort for all day use. 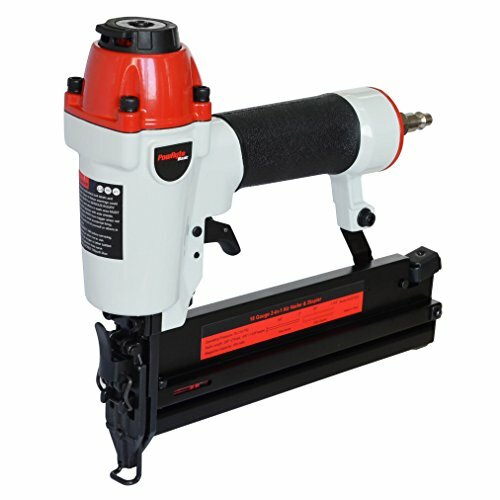 It's oil-free operation requires no regular maintenance and eliminates the risk of oil stains. 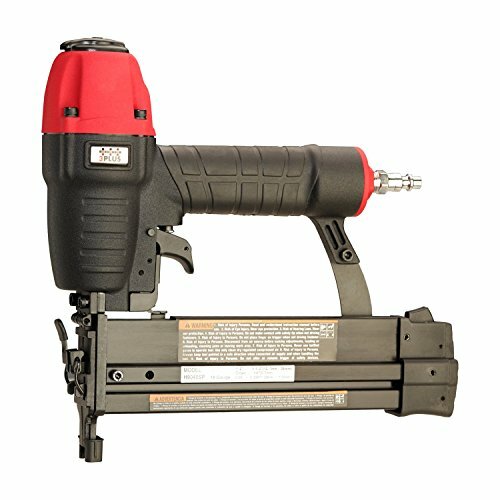 Designed with bottom loading for quick reloads and a low fastener indicator allows user to quickly assess when it is time to reload. 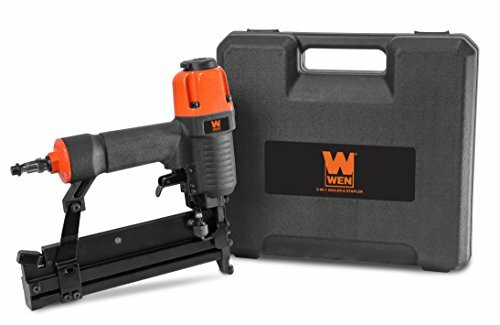 It features a lightweight die cast aluminum design to make it easy to use with less fatigue. Common applications include: insulation, house wrap, felt paper, screening, upholstery and crafts. 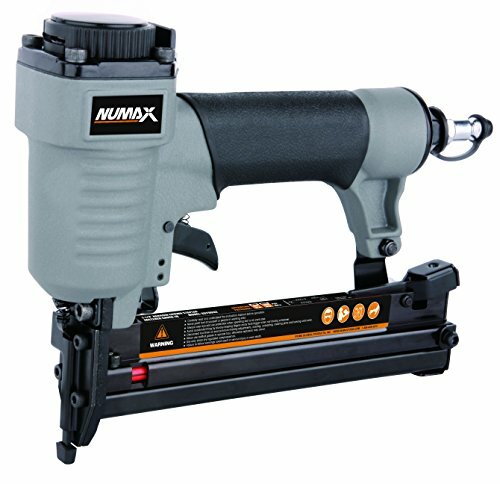 This NuMax pneumatic stapler fastens 7/32-Inch crown staples ranging from 3/8-Inch to 1-1/4-Inch long. 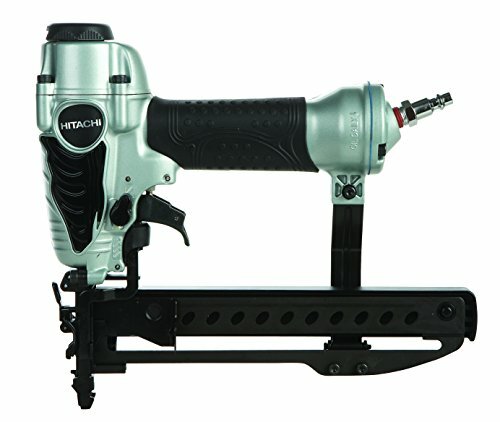 The die-cast aluminum housing allows the tool to be durable while still remaining lightweight. The comfort grip handle helps reduce fatigue during extended usage. 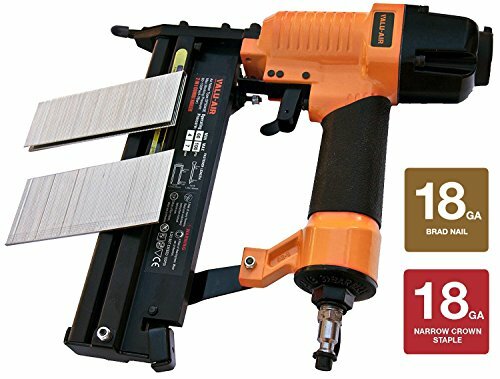 Looking for more Crown Air Stapler similar ideas? Try to explore these searches: Aluminum Accents, Delicate Lace Trim, and Detail Maternity T-Shirt. 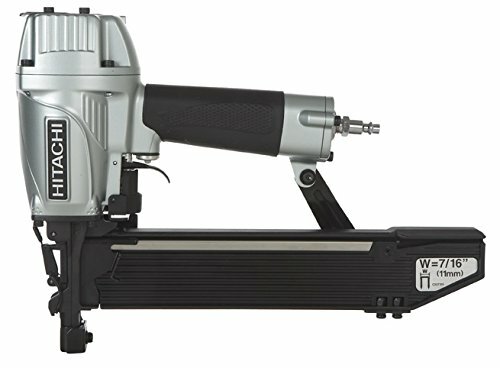 We need an pneumatic upholstery stapler for out custom Mercedes Sprinter build.